Well now, all that power in one Lightware MF1217 (12″x 17″x8″). This is my road kit. It is small and then small and did I mention small? 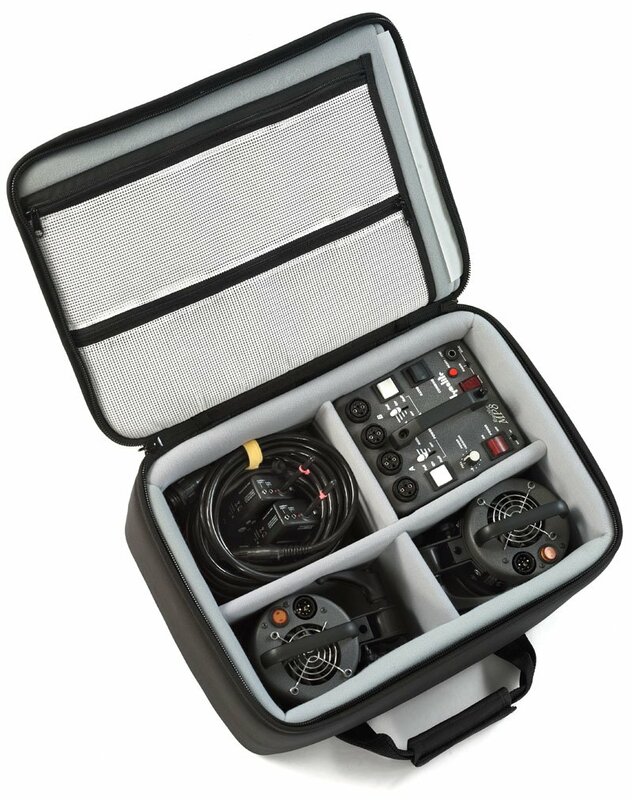 In addition to the Dynalite case, stands, gels, boxes, cables and background go in another Lightware bag. I use a MF2012 case for my speed lights, cameras and lenses. So in all it’s just one for me and two for the assistant. Yes an assistant. When you are on the other side of 50 it is nice to have the help plus an extra set of eyes to make sure you don’t put salt in your coffee instead of sugar. Having gone to the digital side makes some things easier but a lot of things more expensive and not quite so easy. I think that lighting has been made easier. Easier in that we don’t need as much power because we are not exposing for 4×5 or 8×10. Good lighting is still necessary and greatly defines those with and without the knowledge or experience. You can have a great deal of finesse using much smaller and lighter tools. I never would have used speed lights for a 4×5 shoot for fear of not having enough juice. But now, they are one of the staples in the location kit.